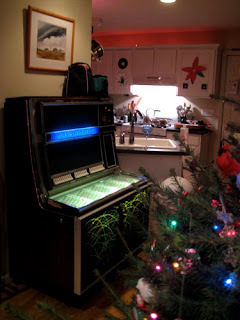 About twenty years ago, I bought a 1968 Seeburg LS2 jukebox. This was during the time when all the bars and pizza places and stuff were clearing out their old vinyl jobs and upgrading to these shiny new CD machines. You could pick up one of the old ones for next to nothing. So I did. In addition to being a simple and easy way to play 160 sides of pure analog vinyl goodness at an insane volume level without having to actually DO anything but press a few buttons, it's also become a great friend over the years. I've resisted all attempts to marginalize the old girl, and she still maintains her place of prominence here at the B Side Ranch. This time of year, switching out the usual 45s for the Christmas Records has become as much a tradition as trimming the tree. Some of them are good, some are kinda hokey and hey, I admit it, some of them are just downright bad. It goes with the territory. I'll tell you what, though, the first time I hear something like, say, the original single version of Nat Cole's The Christmas Song for the year, it still just does me in. I know, I'm a sap. Anyway, this buttery New Orleans recorded version of Charles Brown's classic came up on the ol' box the other day, and it stopped me in my tracks. I figured I'd share it with you. Johnny Adams possessed one of the truly great voices of our time. He was also the victim of some dubious business practices and just plain old bad luck. 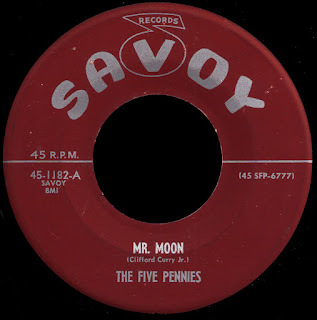 Soon after he took Mac Rebbenack's A Losing Battle to #27 R&B in the summer of 1962 (the flip of which became our fourth B Side post way back in the fall of 2005), he travelled to Detroit along with Joe Jones and Earl King to meet with Berry Gordy at Motown. As legend has it, Gordy was all set to sign Johnny to a contract when he received a telegram from Ric and Ron founder Joe Ruffino threatening legal action if he did. 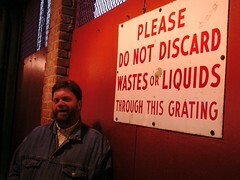 That was one of the last things Ruffino did before he died of a heart attack. His brother-in-law, Joe Assunto, convinced Adams that he was still under contract, only now he was signed to Assunto's own Watch label. 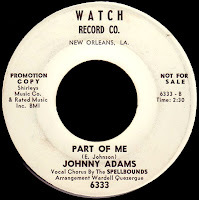 Now working with Earl King and the ubiquitous Wardell Quezergue, Johnny recorded the deep soul classic Part Of Me (now up on The A Side) in 1964. Although a big record down in Sugar Town, Assunto's lack of any kind of national distribution kept it from breaking into the charts. Johnny continued to soldier away for a variety of local labels throughout the sixties, but nothing much was happening, and so he found himself back at Watch by 1968. Shortly before the company went under in the wake of the Cosimo Matassa/ Dover Records fiasco, Assunto was able to lease Adams' version of Release Me to Shelby Singleton in Nashville. Another incredible Quezergue arrangement, the record broke into the R&B top forty by the end of the year. Singleton signed Johnny to his SSS International label and brought him to Nashville. 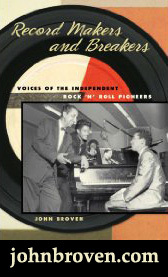 He would record his biggest hit at Columbia's studio on 'music row' with session stalwarts like Jerry Kennedy and Pete Drake. It's easy to understand why the all time Country Soul classic Reconsider Me soared to #8 R&B in the summer of 1969. It is simply an amazing record. 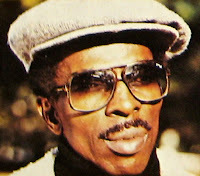 He would chart twice more for the label but, by 1974, Singleton had decided to get out of the R&B business altogether, and Johnny was left high and dry. 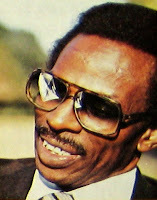 Back home in New Orleans, Adams began his long association with Walter 'Wolfman' Washington and, in 1976, they hooked up with Senator Jones and started recording for Hep'Me. Jones had worked out a deal with Allen Toussaint and Marshall Sehorn that allowed him to use their Sea-Saint studio in exchange for a cut of the profits. Surrounding himself with great local talent like Johnny's old compadre Quezergue, Isaac Bolden, and Sam Henry, Jr, the good Senator came up with some great records, although they didn't sell much outside the city limits. Today's selection hails from that period, and is pretty straightforward until Johnny steps out there towards the end and lets loose. I love it. 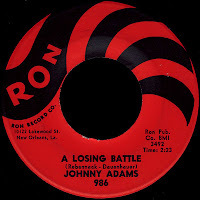 Jones leased another of Adams' Country Soul outings, After All the Good Is Gone, to Ariola Records in 1978, and it barely dented the charts. Ariola would record a 'disco' album on him shortly after that but, after it failed to sell, they dropped him, and he was back working with Jones. As he told Jeff Hannusch in the essential I Hear You Knockin', those Hep'Me singles "...kept my name out there. I didn't care really if they weren't selling. As long as I had a record out that got played once in awhile on the radio and on a few jukeboxes, I could work off that... like I said, the money is in the gigs, not in the records." One of those gigs was his annual appearance at the New Orleans Jazz & Heritage Festival and, as 'Jazz Fest' began to grow, more and more people were exposed to his music. 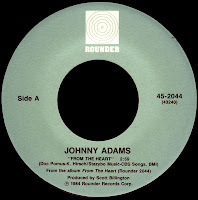 One of those people was Rounder Records producer Scott Billington, who signed Johnny to the Massachusetts based label in late 1983, beginning their long association with the Crescent City. He would cut nine albums for them over the next fifteen years (including my own personal favorite, Walking On A Tightrope - The Songs Of Percy Mayfield), and his voice remained just as amazing as ever. I was lucky enough to see Johnny Adams myself a couple of times in those days, and I'll never forget it. I consider myself privileged to have heard the 'Tan Canary' sing, man. I couldn't believe it when I heard he had passed away following a long battle with cancer in 1998. He was 66 years old. "Johnny, we hardly knew ye..."
I hope Santa treats ya good! I can't tell you how much joy this song brings me. Thank you so much! Johnny is one of my favorite singers. Unfortunately, he never, ever got the recognition he deserves. Merry Christmas and many thanks for the great music you've posted throughout the year. 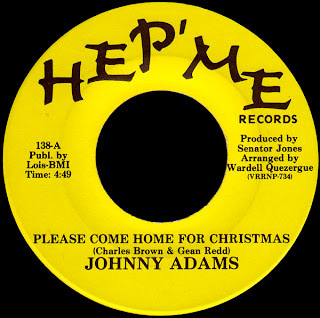 Hey, Red, my friend, Jon, from nevilletracks.com, pointed out to me the other day that some of the songs Johnny Adams and Aaron Neville cut at Sea-Saint during the Hep'Me period have the same backing tracks! I did an A/B comparison and they were spot on, except for different mixes. Of course, Aaron wasn't on Hep'Me. He was recording for Toussaint's Sansu Productions. 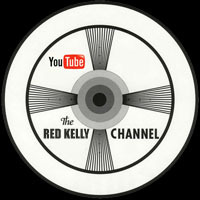 Senator Jones' operation at Sea-Saint, from what I've heard from participating musicians, was an assembly line almost. The players just cut backing tracks, not even knowing who was going to be singing, which is why some of them have a generic sound. Jones was more interested in quantity than quality, an in doing it as cheaply as possible. Likely, Jones used some tracks for Johnny that Sansu had cut on Aaron to save even more! That's my trivia insert for the day. Strange that you and I have been talking about similar antics at other labels. Johnny Adams was a friend. He grew up in my neighborhood, a block from my family house, and was a contemporary of my uncle. The first song of his I heard was "Fighting a Losing Battle" on the radio, WYLD, when I was 15. It mesmerized me instantly -- his rich, honeyed voice, the way he caressed notes and milked them, his phrasing and that clear, clean falsetto. My instantaneous reaction was the same as when, two or three years earlier I first heard Ray Charles's "What'd I Say" and Aretha Franklin's "Today I Sing the Blues." Years later we met and became friendly. He'd let me know when he was going to be anywhere near where I was living (I've seen him perform live in New York, Providence RI and Chicago, as well as in New Orleans). We'd get together and talk, talk about his life, the Hollygrove neighborhood, his love of golf (our neighborhood was right behind the New Orleans Country Club, and many of the men who lived there in the generation up for me worked as caddies from youth and learned the game that way), and other such matters. One of the last times I saw Johnny perform before he became ill was at a little hole-in-the-wall club on Oretha Castle Haley St. (formerly Dryades) in New Orleans. He opened with "Turning Point" in a spirited way I'd never heard. The way that he held and played with the "turn-ing" notes was electrifying. I'd often see him at Storyville or someplace else in the Quarter or Uptown and then make the after hours set at some place like "Dorothy's Medallion" on Orleans Ave. He was an extraordinary talent, unique, I think the most beautiful and skilled, professional voice to come out of New Orleans's rich musical history. 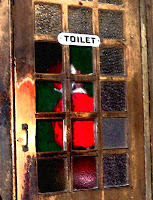 And he always sought to comport himself with a quiet dignity. He was a really decent, really special talent and person, and he is still missed very much. I found myself thinking about him again when I was down there last week visiting my mother and family for Thanksgiving, musing about things like what kind of conversation we'd have had about Katrina, which left most of our neighborhood under 4-5 ft of water (when he died, he had long since relocated to Baton Rouge with his wife, who's from up there, and daughter) and how much I'd love to hear him sing live. Thanks so much for sharing your memories of this great man. I agree, he was one of a kind. Yeah, that was a great story.